Call for participants! Travel with us to Warsaw! Hawila Project became part of international educational exchange program for people interested in documentary movie making and visual communication. People becoming a part of the group will meet activists and people inspiring sustainable change in the partner cities (Warsaw, Valencia, Copenhagen) and develop their movie making skills. You will be mentored by professional video maker who will support participants in the video making process. At the moment we are looking for 7 participants, between 18-30 years, resident in Denmark for the first placement that will take in Warsaw, Poland, from the 25th of May to the 2nd of June 2019. Participants who are joining the first placement in Warsaw will be given priority to join the following placements. This project is financed by the Erasmus+ programme of the European Commission. Accommodation and food are covered by the hosting organisations and travel expenses up to 270€ will be fully reimbursed. Please send us a short email with your motivation to join the project to gabriele@hawilaproject.org with the title “TRY2 Warsaw”. Among 7 participants from DK we will choose two leaders who want to gain experience in supporting the coordination of the Erasmus+ project. Group leaders should have experience in communication, leadership and interest in management skills. If you feel you are a right candidate, please send an email to gabriele@hawilaproject.org with the title “Leader TRY2 Warsaw”. Joining the project is a great opportunity to develop your network within the people interested in documentary film-making, non-profit organisations management, international projects and visionary ways of creating sustainable cities- don’t let it go! We hope this message finds you in good shape and spirit! 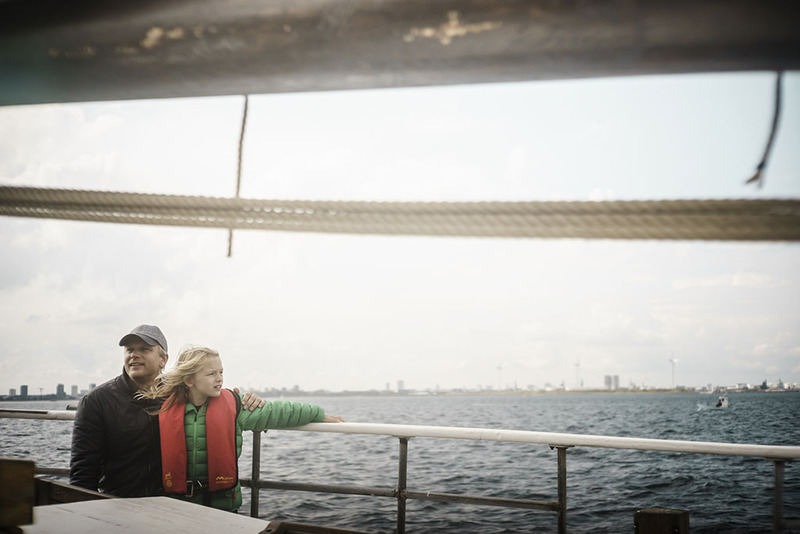 After a successful 2018 Hawila summer sailing around the Baltic reaching the Ecovillage Conference, we have been working intensively on developing the project for this year’s big adventure. We are happy to announce that Hawila entered into a partnership with the circus collective Acting For Climate, opening inspiring collaboration which you can become part of! From July to September Hawila will be touring the Baltic with an onboard show called “Into the water“. “Into the water” is a contemporary circus show aiming on raising ecological awareness as well as triggering wider debate on sustainable development. During the summer Hawila will therefore become not only an unconventional stage for performing arts but also a meeting point for those who want to embark for a debate on redefining our relationship with environment around us. Therefore Hawila can continue to carry on its main vision which is is to engage and bridge coastal communities as well as serving as an educational platform to trigger debate on the issues surrounding globalisation. This summer we will sail from port to port to inspire people with a performance focused primarily on cycles and water. 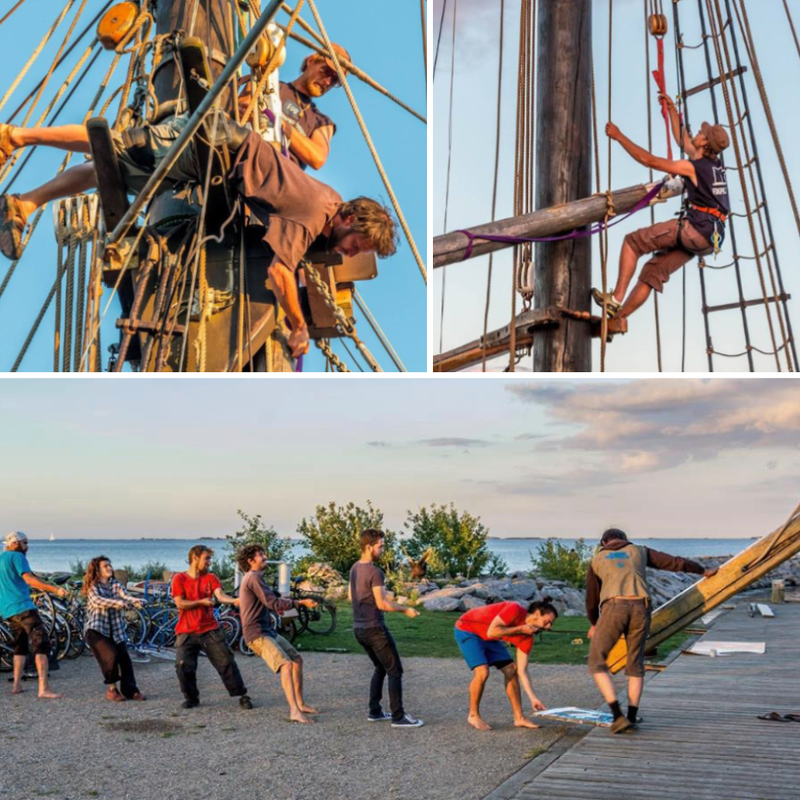 Among the “Into the Water” crew you will find circus artists, actors, musicians, dancers, scientists, activists, visual artists, locals, sailors- all joining forces to bring awareness and inspire action towards a more sustainable way of life. We want to invite you to become a part of our amazing community this summer! 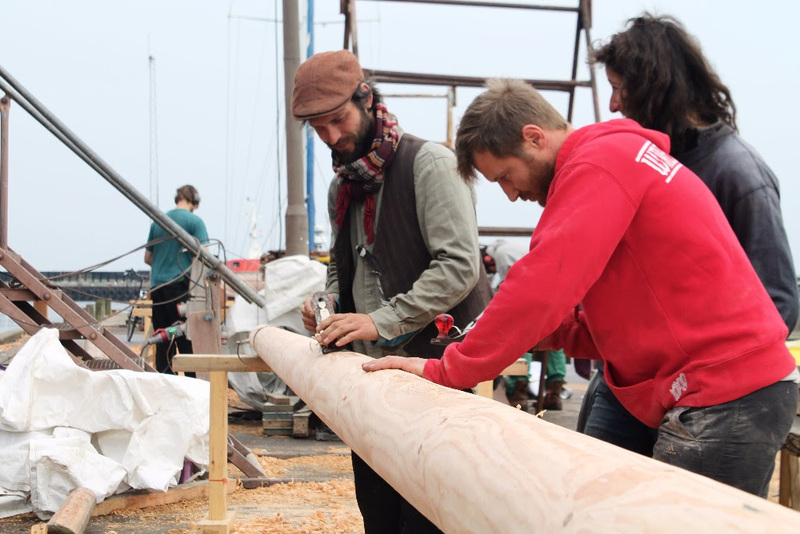 In each harbour the show will be accompanied by the “Wandering Festivals” aiming to bring people together for an invigorating gathering revolving around sustainability. The program of the festivals will consist of workshops, talks, art exhibitions, salvaged dumpster kitchen, and concerts. The aim of this year’s adventure is to share the knowledge and engage the audience in the search for the tools on how to make a very much needed change in our everyday life – as well as how to make it a more global reality. 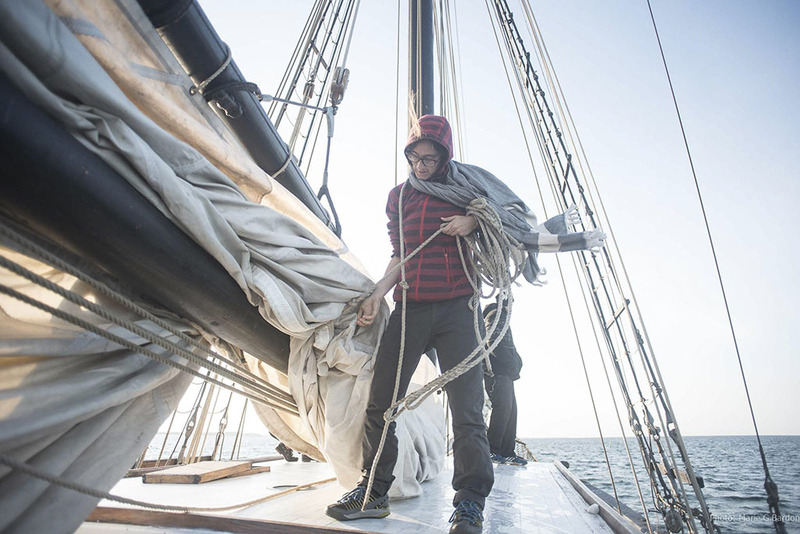 As our main focus for this summer is education -apart from the touring show and festivals- we decided to secure several places on board for external participants interested in joining the crew and learning the arts of sailing as well as circus performances. You are invited to become a part of a sailing crew and work in shifts while being supervised by experienced seamen and professional performers. In addition to experiencing a marine life we invite you to attend daily sailing lessons as well as workshops related to variety of circus activities. Next week we will post dedicated infos on the teaching content and various booking possibilities! Keep updated next week on our website here to book one of this leg onboard Hawila. We hope to sail together with you this summer! It has been a while since there has been any news from us. Finally, after 3 years of hard work and exploring a lot of unknowns we gleefully set sails with Hawila. The summer was a very big moment for us in the evolution in the project. We have been quiet these last months because we have been using this time to digest and appreciate the hard work and have some time for individual projects/life outside of Hawila. We would like to wish you all a happy new year and welcome you into this new year with a collage of video images, thoughts from us and reflections on the future of the project. Currently we are working on projects for this summer and a route for sailing. Thanks to who worked on the video and the music. Original music recorded on board Hawila! Thanks to everyone for the hard work, support and commitment. Everyone is welcome to sail onboard Hawila! For more info read our passenger’s booklet below and check our schedule (or download the pdf with 2017 schedule here). To check our trip available click here. 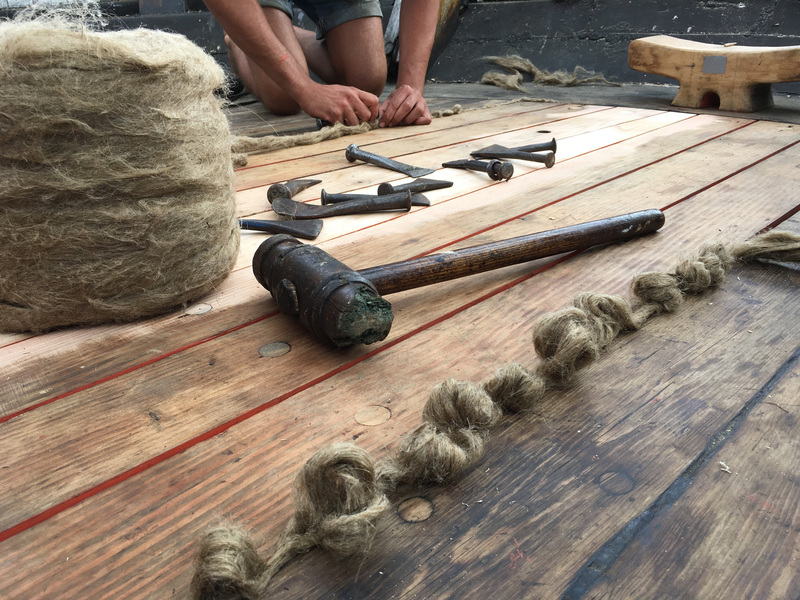 After a long radio silence, we are thrilled to share updates with you on the refitting of Hawila, the advance of the project and the opportunity to sail together! We’ve been busy onboard and the project has made huge advances the last year with few words from us. In addition to the never ceasing work on the vessel we have developed several collaborative projects allowing us to thrive locally and in Europe. Our vision has been refined, the core team consolidated and structuration of a cooperative initiated. In a month, the vessel will be seaworthy to set sail towards the North Sea and the western Norwegian fjords. Join the voyage! Later, after a winter on the dry dock, Hawila will be ready to sail commercially across Europe with a cargo hold of 40 tons. We need your support to make this happen! 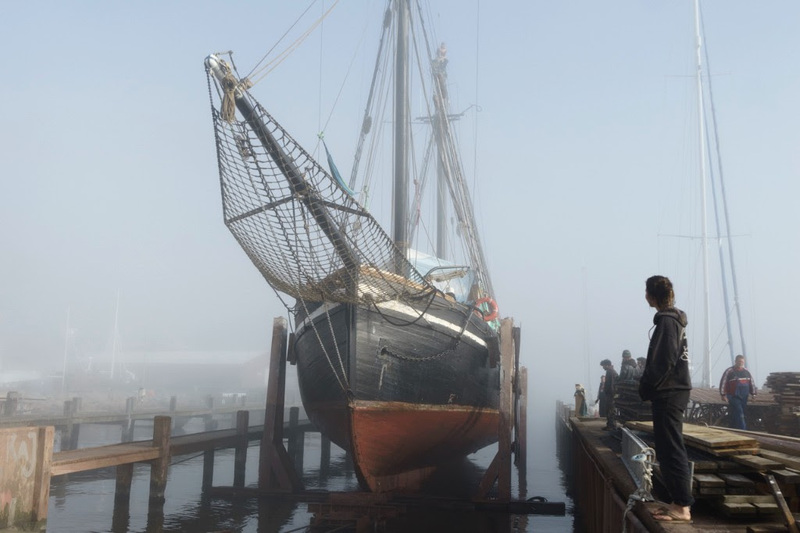 We are now at the shipyard in Gilleleje, and every penny counts to make Hawila seaworthy. Please donate for the refit! Besides, Hawila is in the process of creating a cooperative structure and will eventually invite new members from this summer. If you believe Hawila can make a change as a sailing cargo vessel and cultural and educative platform consider joining our internal mailing list to receive more info.You can also support us by sailing along this summer on one of the leg and enjoy the beauty of the Norwegian fjords. Hawila will set sail soon! We are writing to you from the deck of Hawila, hoisted up on the Gillelje slipway, where she arrived 10 days ago. 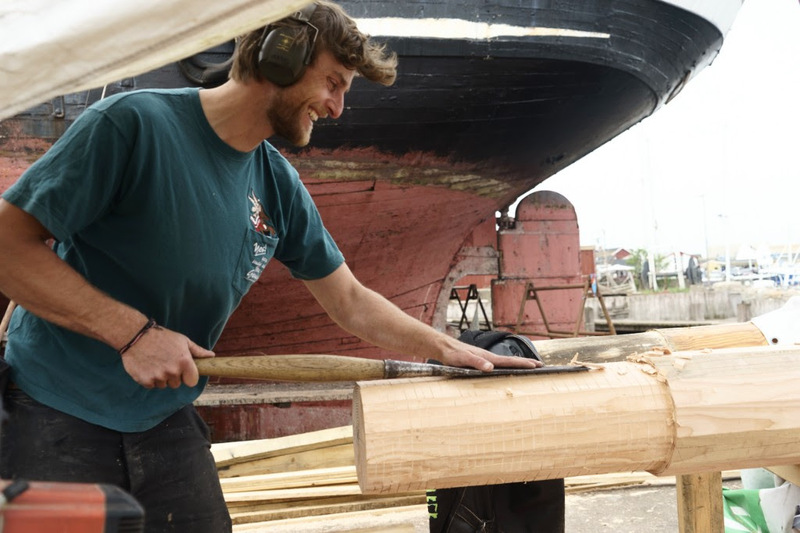 We have gathered a large group of 20 skilled volunteers from our network and the artisanal carpenters from the CopeauxCabana collective to refit the vessel. Lots has been done the last years and this is the last step before setting sail for the entire summer. We made new booms and gaffs and serviced standing rigging, oiled and fixed the blocks, planked some of the hull, re-caulked nearly the entire hull, replaced a third of the deck and changed some of the deck beams, remade port side of the deck galley cabin, new bow fences, rebuilt entirely the main engine and onboard generator, rewired most of the electric system and, thanks to support of Victron Energy, upgraded the battery bank, upgraded our instruments, rearranged the space inside with new cabins and so much more! 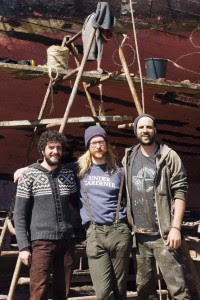 The ship will be put back at sea in a few days to finish the work above the water line and give it a final paint touch. 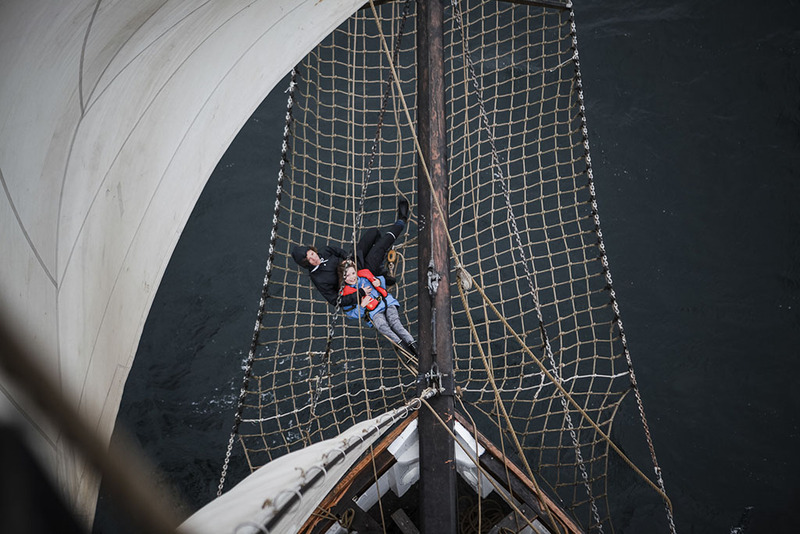 After that, Hawila will be rigged with her original sails for test sailing and to take the sea towards Norway. On the way we will stop at the Risør trebåt festival form 3 to 5th of August and visit the yard where Hawila was built in 1935. 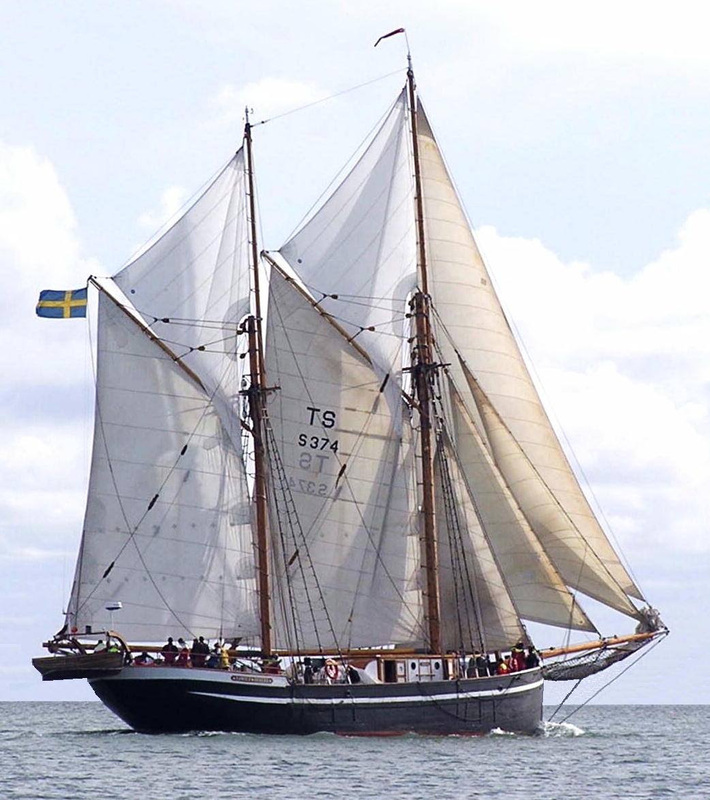 We needs your support more than ever to make Hawila’s maiden voyage along the coast of Sweden, Norway, UK and France this summer, marking the initiation of our project before the final conversion as commercial cargo. Would you consider donating any amount of money, big or small, to kick off the projects around Hawila? We thank you in advance for all your donation for Hawila’s refit! Hawila is not only about trading, it is also about critical thinking, re-shaping and re-imagining the way we consume, the way we relate to people and our planet. With the aim of inviting people to reflect upon those issues on Hawila, we have designed an interactive workshop, which aspires at opening a window into global trade and its environmental and social effects. During the workshop, facts and events of past and present maritime transport are transposed into a large interactive world map. Combining the different facets of the game, the participants are able to imagine and design their own journey with tactile and digital elements. 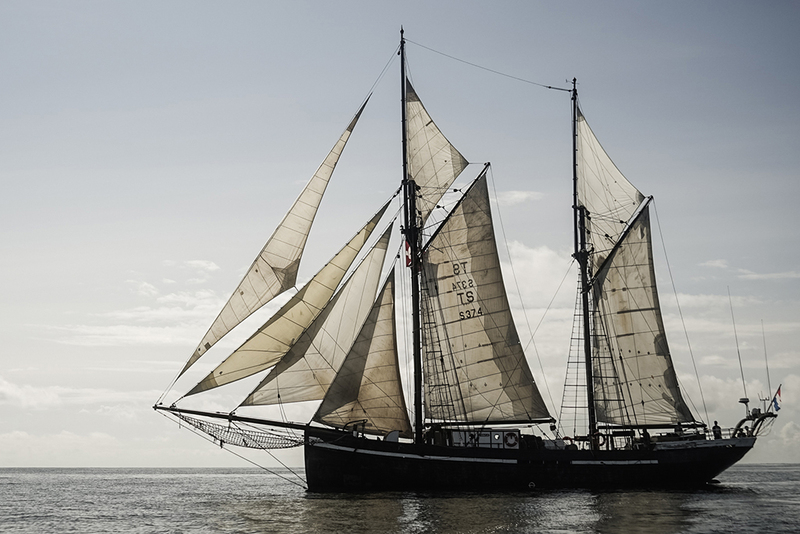 This journey retraces the story of an historic sailing ship and a contemporary container vessel. 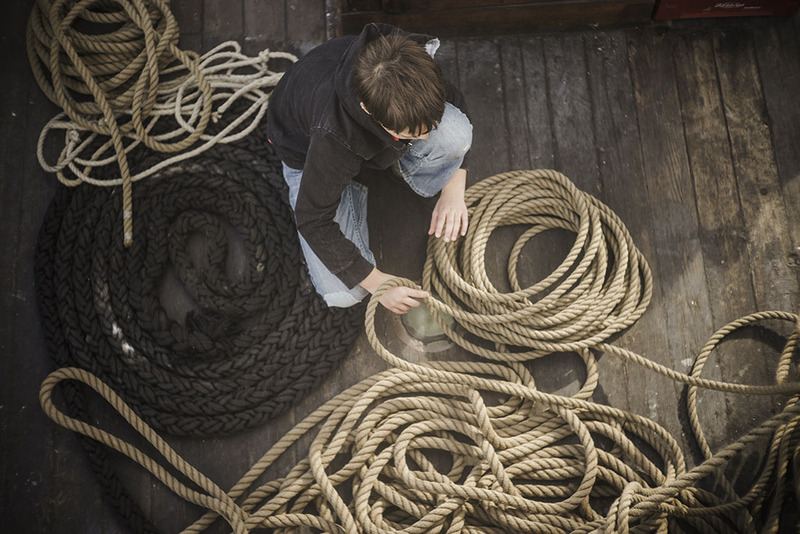 The game welcomes audiences through play to an original and critical aesthetic space, to reflect the influences of maritime heritage and contemporary practices within a global environment. This activity was created within Tandem Europe, an initiative developed by European Cultural Foundation (Amsterdam) and MitOst e.V. (Berlin) together with Fondazione Cariplo (Milan), financially supported by Robert Bosch Stiftung (Stuttgart) and Stavros Niarchos Foundation (Athens). It was designed and created collaboratively between artists of Welsh organization Head4Arts, and the Hawila. It was tested successfully in early stages in Denmark, South Wales and Greece with youth groups of age from 8 to 14. 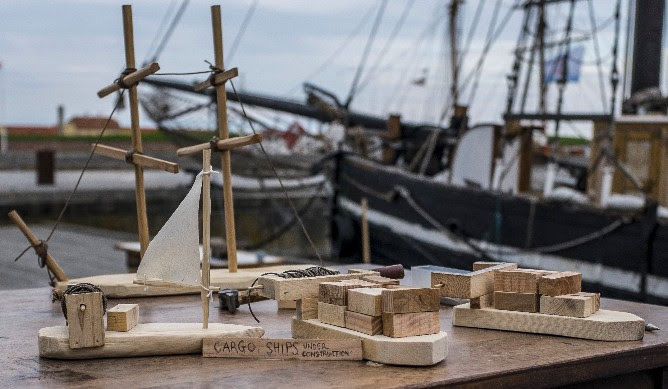 In Denmark the activity was enabled and hosted by the National Danish Maritime Museum. 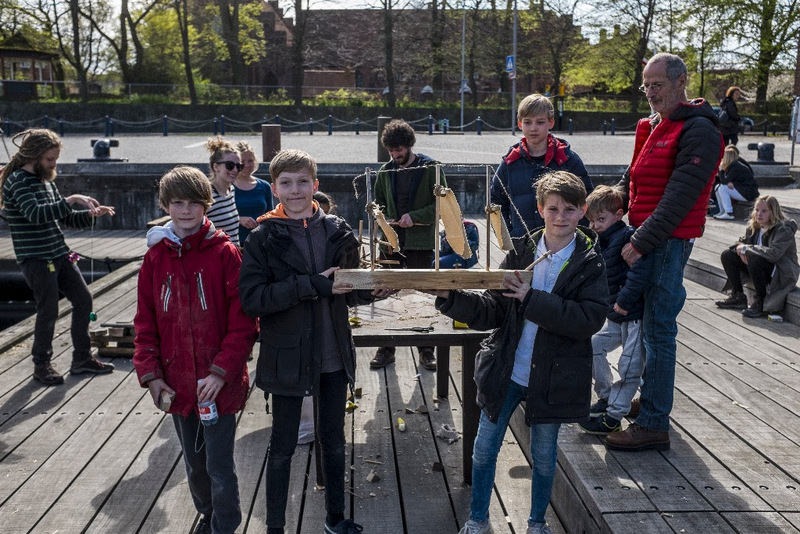 If you are interested in knowing more about the activity and would like to share it in your harbour, school or city please get in touch with us! If you are interested in reading more about our workshop have a look at this blog post. The project with Hawila has undergone internal restructuration over the past months, and the future brings new exciting developments. The vision and our core team was refined: Samuel Faucherre, Gabriel Sutera, and Robert Weir are now responsible for directing the momentum of the project to ensure its continuity. We are now in the process of forming a Cooperative which will own the ship outright. United under this Cooperative will come the three important aspects of our project – Trade, Culture and Education. The Cooperative will be run by members actively working for the project. This structure gives a dynamic allowing member participation by votes on the direction of the project. Additionally, the Cooperative will allow the project to gain shareholder support from those not wanting to work directly with the project, but willing to contribute. These shareholders will be entitled to a vote and a voice in the cooperative, and will receive a return on their investment. 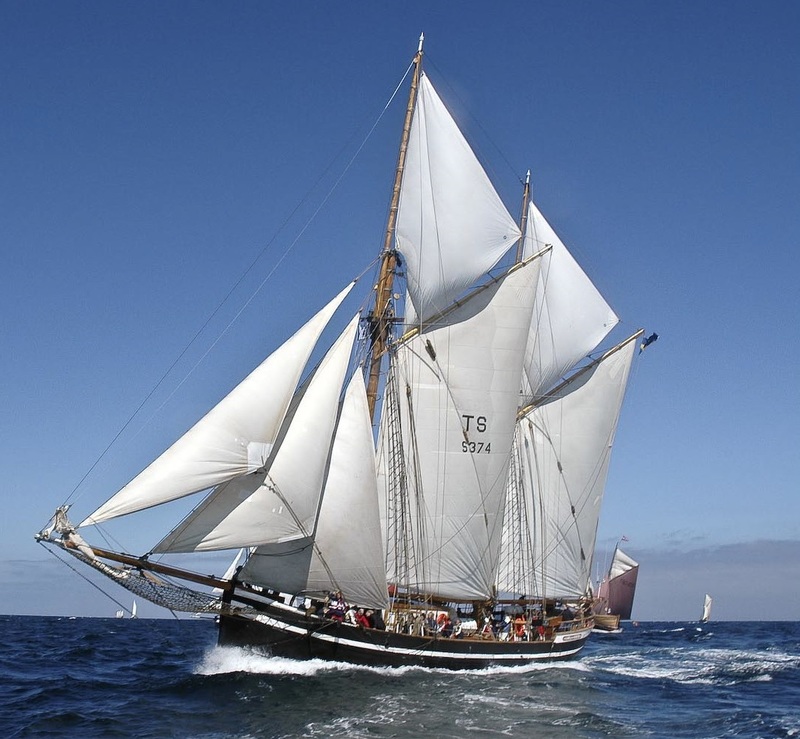 After five years Hawila will set sail again for an exeptional sailing voyage. 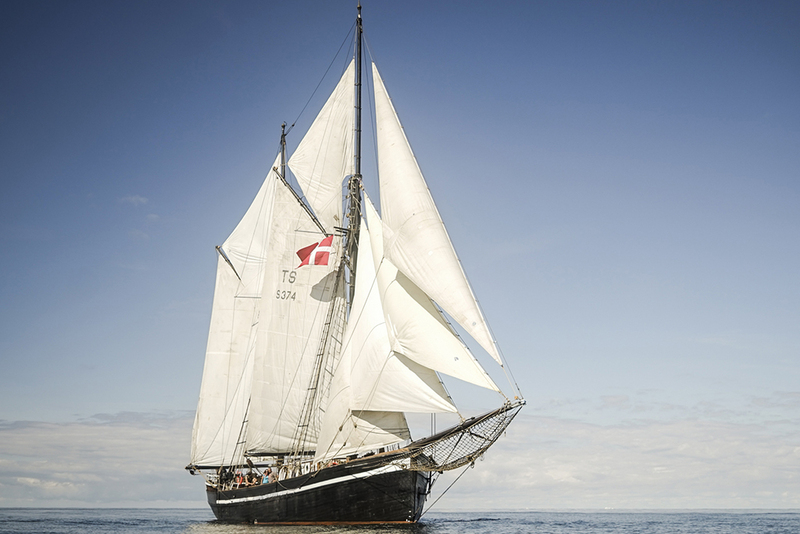 Become a member of Hawila and support us with a daily fee to sail by contributing her through the stunning Norwegian fjords, the wild Northern seas, through the Caledonian canal, the legendary Scottish lakes, the Irish sea and more! Have a look at our planned sailing schedule and get in touch with us for more details (email booking@hawilaproject.org with leg code in subject). You will experience a real sailing voyage, hoisting and trimming the sails, sharing time with the captain and the crew, helping the cook and stopping in unique places linked to sailing culture. Most importantly, you will support Hawila to sail for the coming years! NOTE: This is an expected schedule, the dates of arrival and departure might be adjusted according weather conditions or other unforeseen events as well as members participation. After a restoration season of over 3 months of growth and serendipity, much has moved ahead under Hawila’s two masts! Thanks goes to the power of determination, the positivity of learning from skilled carpenters and random encounters, and the enthusiasm of a volunteer crew working together throughout months. Degradation processes are now under control, the state of the ship is preserved in the most important places, deck, galley, mizzen boom, bowsprit and topmasts. 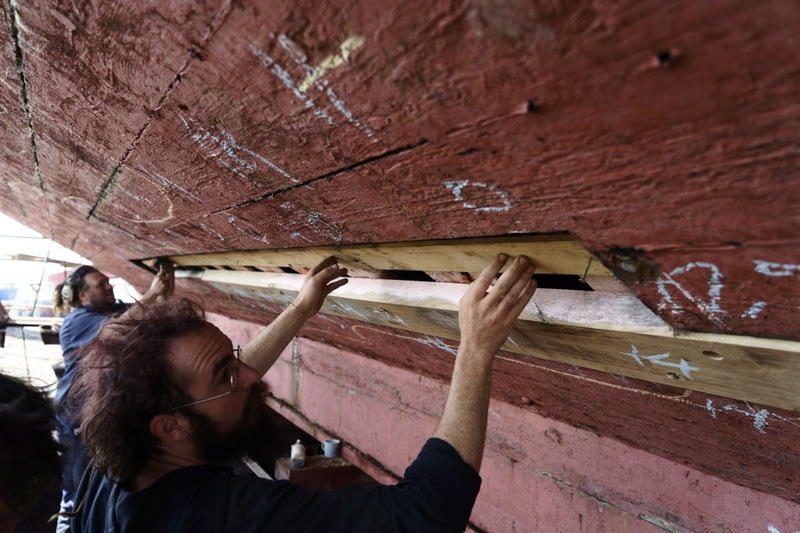 Aft and forward are sanded, caulked, oiled and renewed, important beams and planks from main deck replaced and restored. The port side wall of the galley was replaced and insulation optimized. One of its panels has become an ongoing experiment; testing the use of plexiglas and a ventilation chamber, as a potential solution to condensation. Bow fences were replaced and decorated with nordic inspired carvings. Accurate measured drawings, (made for the ship by a cross-continental cycling architect) have already helped us during an initial survey towards regulating Hawila for future shipping activities! Ben and Leo, shipwright and sailor, our skilled volunteers invited for the season, pushed forward an incredible amount of positive changes. As is the nature of this ship, many things are larger than imagined and plans are only a safety line in changing seas. Unexpected surprises balanced out the unforeseen issues and we move forward stronger for it. We were happy, to be able to challenge ourselves and do things we’d never done before. To learn from knowledgeable craftsmen how to work skilled tasks and see woodwork in different styles from, allowed us all to get much more comfortable with wood ourselves. It was powerful to develop friendships and synergies with other projects that connect with what Hawila stands for, both in terms of restoration communities and social initiatives. Alongside the work, we kept Hawila’s space open to the public. With the support of Juan Pino, Mambe, Rebecka Maria, Ashti Abdo and the entire crew, Hawila’s space was transformed into a magic venue a handful of times. So we also had moments throughout the months to restore energies for the intense work, taking the occasion to update outside communities about the advancement of the project. Winter will be the time for preparing and scheduling of activities for the coming year. 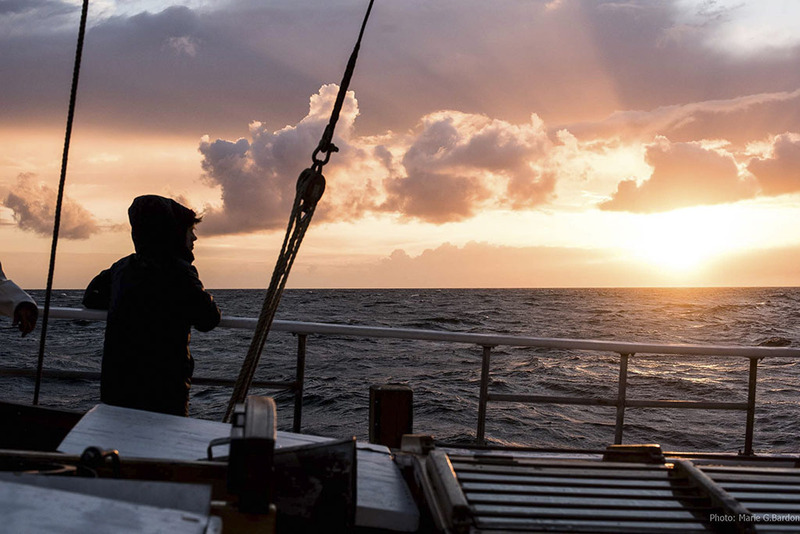 To meet our goal of sailing within next summer, an intense timeplan is on the way. Works will start again in the beginning of spring 2017, so get in touch with us if you’d like to collaborate in the next restoration season! Leonardo Panizza, apprentice boat builder, Benjamin Cremades, traditional boat builder, Etienne Mignon Le Vaillant, sailor and carpentry apprentice, Ales Milos Cerny, electrician and plumber, Robert George Weir, cook, Serena Abbondanza, deck hand and architectural drawings, Anoop Shekar architect and cook, Yogan carpenter, Danni Masso, deck hand, Marielle Weber, deck hand, Lisa Geldys deck hand and assistant cook, Anton Corbal, deck hand, video maker, Cesar, deck hand, video maker, Mariana Bolano, deck hand, photographer, Alexandros Perellis, caulker, and all the amazing folks who dropped by to give us a hand! May the darker times be good to you all, stay with us, we’ll keep you posted ! Don’t miss our second Hawila Self-Organized Festival! 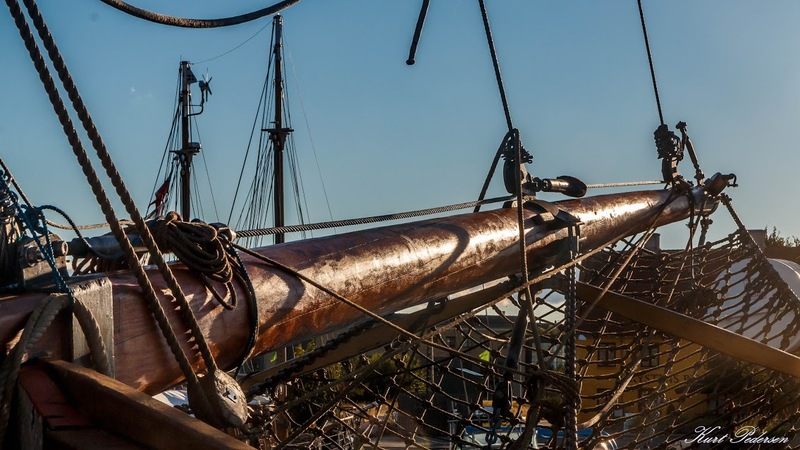 In Kastrup Havn from the 13th-19th of June 2016, the historical sailing ship Hawila opens her deck to a new self-organized festival ! To all ye lovers of sea and sailing culture, emerging art, environmental awareness and community living, welcome! By day, skills and knowledge sharing, in evenings a stage for artists and performers. Access to the event is free, donation based, for all ages and sizes. Our vision: a multidisciplinary platform in a most unusual place, a temporary experiment to support skillful practices, cultural integration, live arts and entertainment to the themes of: SAILING ENERGIES AND SUSTAINED ABILITIES. PRICE: DONATIONS. Important! Though everything is of openly accessible, registration is needed to participate in some workshops, as they fill up fast. Check the detailed schedule for extensive information on an incredible week of inner/ outer nature, research and enjoyment; from sailing workshops to experimental performances and live concerts. Find the ones you like, and reserve a spot through the following form : http://www.hawilaproject.org/registration-participants/ Feel free also join our facebook event. Bring your friends and lovers, your grandparents and children, your pirate parrots and flying dogs, see you there!